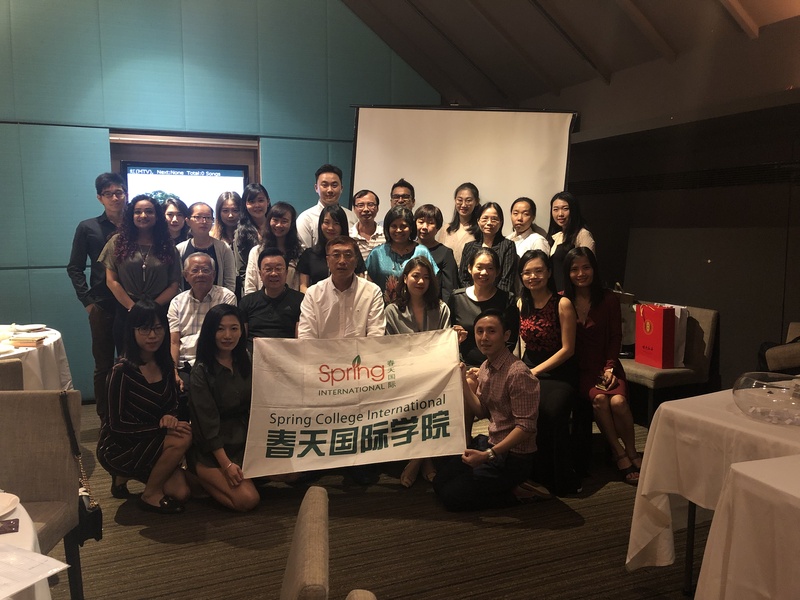 Spring College International has organized an annual meeting & dinner 2018 on 19 Jan 2019 to reward the hard work and effort of all the staff. At the annual meeting, principal, Mr. Alan Yang has affirmed the achievement and progress of the school in the year 2018 and thanked the employees and teachers for their efforts and contributions to the school. At the same time, he hopes that everyone strives to have a better breakthrough in the new year and create new achievements for the year 2019. After the annual meeting, a small award ceremony has been carried out. And Mr. Alan Yang has presented the award of best employee of the year, the best supervisor of the year, the best teacher of the year, the outstanding contribution teachers, and a long-term service award to the respective staff. The whole event was fun, and the games and performances have pushed the atmosphere to a climax. All the staff enjoys the event very much. This annual meeting and dinner were a success. The annual meeting is not only a summary of the past but also the best opportunity to show the corporate culture and enhance the cohesion of internal employees. All departments of the school will continue to work hard, forge ahead, develop and innovate, and make 2019 an extraordinary year.